The turning of year draws close, we pause, here at the limen between what’s done and what’s to come – the snake’s lips meet its own tail and we ride the circle, blind and naked as babes. The reflexive curl inward, a protective gesture towards completeness: to be a whole and finished being, perfect and inviolable. But I’m not. There is so much left undone and unresolved that I have to just accept – to keep rolling onwards into the new dawn as calmly as I can, trusting that in time I will find a way to mend the broken things, understand the heart’s riddles, knit together what’s unraveled and do the rest of the work. That process is never really completely done though, I think. Nothing’s ever as tidy or as comprehensible as we might like, and I want to be able to sit with that as much as I can: to move forward into the unknown trusting somehow in that essential unknowableness. The ouroboros is the end and the beginning, alpha and omega. 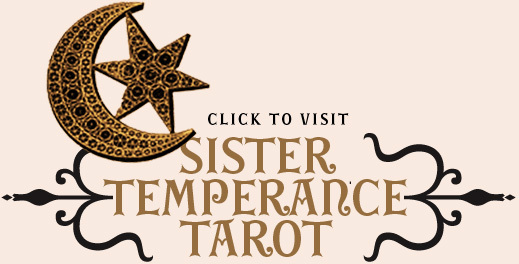 I always associate it with the final card in the the tarot: The World, which symbolizes the completion of the journey of The Fool, the moment when he dissolves and becomes one with everything. Solve et Coagula. When the Fool is reborn, the journey begins again – not with one, but with zero. 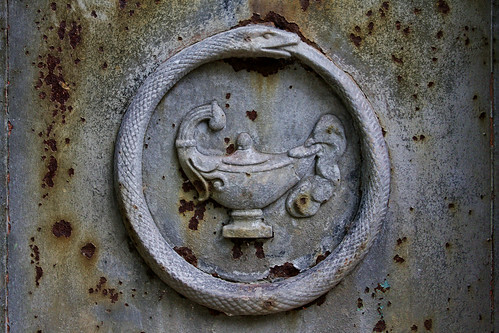 Another circle, a goose egg, an ouroboros. This loop is everything, our eternal return, our journeying that is never finished, always beginning. I feel like I’m starting over like The Fool this year, my arms open, ignorant of what the future holds or what I might encounter on this strange journey. I’ve lost so much this year: so many beloved people and relationships, structures, ideas, belief systems I had constructed and held fast to – more than anything, I’ve lost things I thought were concrete, permanent, lasting. But nothing is. Nothing at all. There is only this moment, and this one, and this one. This process has of course been painful and confusing in the extreme: but I have come to the point where I’m finally resting against the snake’s mouth, the place where I can see the end of the tunnel and start to grasp some of the major lessons this intense cycle has brought me. It will take time for me to work through it all, and as much as I might like to be able to sum it up perfectly right in this moment, I am forcing myself to sit still, to not push, to wait and do the work as it comes. I can honestly say that this has been absolutely one of the hardest and most brutal years of my entire life, in terms of loss and hard lessons. It’s also completely true that I’ve grown exponentially in relation to a lot of that hard change, and that I am working hard every day to be the best possible version of myself. I’ve also gained many treasures – in the form of amazing friends, family and all the people I know who are constantly inspiring me to try and be kinder, wiser, and gentler. I am deeply grateful. Even for the hardest parts – because I am learning so, so much. There is so much I still have to process about this year – I think it will take a long time to express it all the way I want to, but I do intend to try. Right now, I just want to come full circle. I want to go back to the place where my people come from, to the place where my bones will rest when all that I am is gone, I want to bring gifts of fire to the twisty black witch-oaks that burst up through the cracks in pink granite, and as best I can – honor all this change, this turning, the dark road behind me, and the shining one up ahead. This year was a fierce thing: it burned away everything that could not last. I am asking for a more tranquil time: to focus on fluidity, on being open, on peace. Dragons and snakes, circles and ladders, mountains and pits, shadows and stars. Come, let’s light the foxfires. A Japanese woodblock print of Hiroshige from 1857 depicts fox Fires on New Year’s Eve at the Garment Nettle Tree at Oji. According to Japanese legend, trickster fox spirits gather once a year at night at an old tree at the Oji shrine, bearing torches, to receive their orders for the following year. One of the two trees depicted can still be seen. Hiroshige was a favorite of my Grampa’s. He gave me several books of his prints before he died. “Plato described a self-eating, circular being as the first living thing in the universe — an immortal, mythologically constructed entity. I want to sleep and dream in the crook of the changing tree. I’m ready to become a different kind of bird. I feel like this coming year is already sparkling and crackling with possibilities. This year, I’m headed back out to Lone Grove, to the place where I traditionally prefer to ring in the New Year. he made this fantastic video to give you an idea of what it was like that year. The New Year from angeliska on 8tracks Radio. the twelve dragons from lau on 8tracks Radio. Beautifully said. Thank you for sharing so much magic this year. Wishing you new and wonderful things ahead. i wish so much that we could be spending nye together tonight, but alas. next year! 2013 will be an amazing transformative year, i thinks. i can feel it in my bones. My new sweetheart has an ouroboros tattooed around her arm! Angel, I really hope our paths cross at some point this year. I wish I could ring in the new year with you in Lone Grove. I was there in spirit in 2011, in the form of those green sunglasses! You have changed my life and I am ever grateful I have crossed paths with you, dearheart. I hope to spend time with you in 2013 and that the new year brings all the strength and wondrous moments you need. Thank you for your wonderful words and for sharing your thoughts on this New Year’s Eve. I too am looking forward to completing the cycle of the Fool to the World in 2013. Wishing you all the best in the New Year and the Chinese New Year of the Black Snake. Sometimes we work so hard to travel to the place where we already are. The fruit of our journey is the realization that we’ve come full circle—and that this is a perfectly adequate state of affairs. May 2013 be every bit as profound for you as 2012.